Is your hair thirsty for moisture? Look no further, Total Results Moisture Me Rich has Glycerin, and helps nourish the hair for softness, shine and manageability. Is your colour fading and lacking vibrancy? 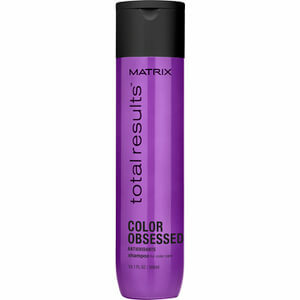 Total Results Color Obsessed with added antioxidant, the formula helps protect against fading and extends the life of your colour vibrancy, leaving brilliant colour and shine. Is your hair weak and prone to breakage? Total Results So Long Damage helps boost the strength of the hair, helping to reduce breakage and prolong healthy hair growth. Frizzy and unmanageable locks? 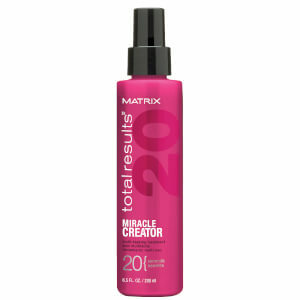 Let Total Results Curl Please take control and add definition to your curls. Need to control that rebellious, unruly hair? 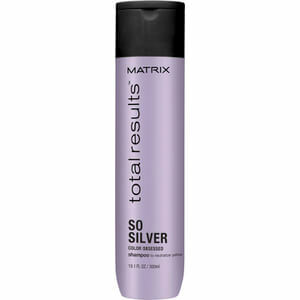 Total Results Mega Sleek helps to smooth hair and manage humidity and frizz. Want to add some oomph to your fine and flat hair? Total Results High Amplify has a lightweight formula with protein to help boost fine, limp hair for lasting volume. Use Style Link products to get that professional stylish result you crave. Make your mix. Boost your style. Style Link's unique cocktailing options lets you add volume, texture and shine to your hair. 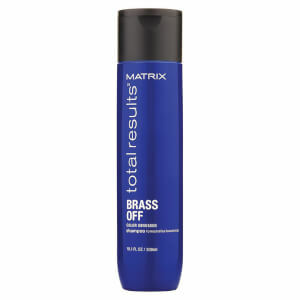 Matrix was founded in 1980 by the American husband and wife hairdressing team, Arnie and Sydell Miller. The Millers wanted to provide hairdressers with a comprehensive range of products that would help them grow their businesses and provide the means to take full advantage of their talent and creativity. Now, over two decades later, the Millers’ original ideas still stand strong. Using the latest technology, Matrix offer high quality products at affordable prices – including the Style Link, Oil Wonders, Total Results and Vavoom ranges. There truly is something for every hair type – allowing you to achieve the look and feel that you want with salon results.